I’ve been craving chocolate cake, but I don’t need a whole cake and sometimes you just want a little bit of cake quickly. This recipe is paleo & not as spicy as I would like, definitely adding more cayenne next time!!! 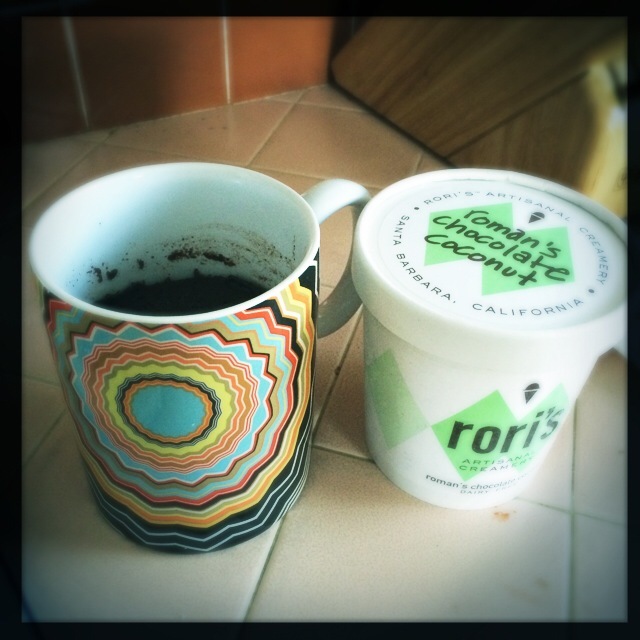 Spicy Paleo Chocolate Cake in a Coffee Mug with Chocolate Coconut Milk Ice Cream!!! 1. 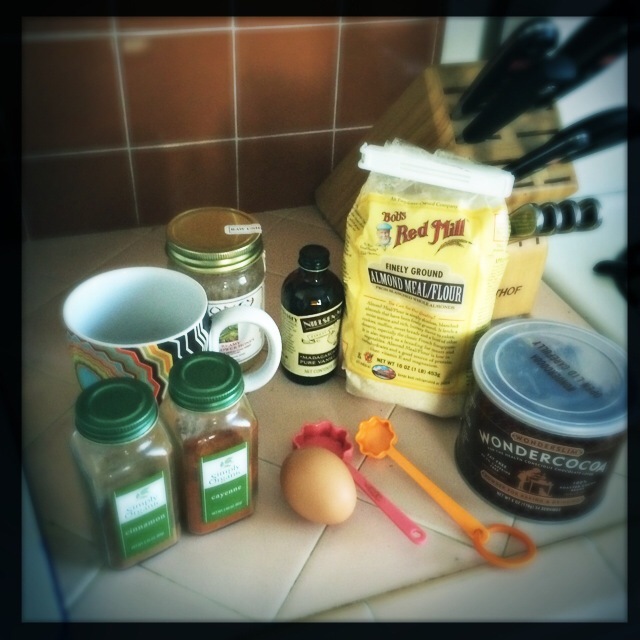 Add all of the ingredients to a coffee mug & mix until combined. 2. Microwave 1 minute and 45 seconds. 3. Enjoy! I added chocolate coconut ice cream…so good!